I have over 12 years of experience in the health & fitness industry. Providing clients with the help and motivation to succeed and reach their health and fitness goals is my passion. I create training and nutritional plans for clients along with provision of substantial amount of coaching advice to motivate and assist them in their journey to becoming healthy and fit. I have worked with populations ranging from adolescent to elderly, pre and postnatal. I was a volunteer coach for the Staten Island Hurricanes Football Peewee division. I've worked with college athletes (soccer, rugby, basketball, hockey, tennis, rock climbing, football), trained professional athletes (NFL Players, MLB Players, Cricket Player) and competitive dancers. I have also trained celebrities: Models, Actors, Actresses and Emmy Award Winners. I have basically worked with basically all types of people. I'm always interested in helping others achieve their health and fitness goals, constantly keeping myself educated and updated with new health and fitness trends. I'm interested in taking on new challenges in the health and fitness field, working with various individuals that are serious about their health and fitness. My session will always be challenging, but i guarantee that you will see results if you put in the necessary work. I highly recommend TJ as a Fitness Trainer. I’m a professional working actor, and image means everything in my line of work. I went to TJ because I desperately needed help with my body for my role on 50 Cent’s new series POWER on Starz. TJ not only got me to lose the excessive pounds of body fat, but taught me proper posturing and weight training techniques. Since then, I have developed muscle shape, strength, endurance I never had, healthy dieting, and gained the look I needed within my time frame. With a lot of sweat of course, but TJ was there personally for me with every step. I look extremely well on my new television show and my representatives are very satisfied with my physique. I highly endorse TJ. I will continue to utilize him as my Personal Trainer for many years to come. While completing my Bachelor’s degree at the State University of New York at Plattsburgh, I was introduced to Thomas Johnson, a personal trainer who worked at the school’s gym. I had the opportunity to work with Thomas on a 1-1 training schedule that lasted for a few weeks. Unfortunately, due to the excessive amount of school work, I could not work with Thomas more that I had wanted too. However, I highly recommend working with Thomas for numerous reasons. Thomas is an easily approachable and has a complete understanding of the anatomy and physiology of the human body; he is also very knowledgeable in regards to nutrition and how to get in shape the healthy way. Although there were times that I felt that I could give up any second, Thomas provided me with the motivation and determination to push myself harder than I ever had. Although I did not work with Thomas for an extensive amount of time, within the 3 months that I worked with him, I saw not only results physically, but mentally I became more disciplined and had learned so much about the human body and how to eat right. I currently have been using some of Thomas’ rigorous “boot camp” routines and I can feel myself acclimating to my maximum potential. If I had the chance to work with Thomas again, I would definitely take the opportunity to do so. Being trained by TJ was an incredibly transformative experience! I went from bench pressing 140lbs to 210lbs in a matter of months. I have never been stronger than this. His communication style and motivated approach combine to make an exceptional trainer. I strongly recommend him to anyone interested in and committed to taking their health to the next level! TJ knows the biomechanics of movement. TJ knows diet. TJ knows how to motivate. Having lost my motivation after working out for 30 years, I decided to give a trainer a go. I wish TJ was born when I began working out. I would have done things a whole lot differently. I challenge TJ every week to challenge me. He always surprises me and never lets me down. There was a point in my life when I couldn’t bear to look at myself in the mirror and finally reached a point where I had to make a change. My change was working with Thomas about four days a week. That was the best change in my entire life. My first day, walking into the gym, I worked out my entire body like never before and had fun! Instead of being thrown onto a treadmill or being showed a weight machine, he learned about what I liked and didn’t like. He also took consideration my strengths and made those more important than my weaknesses. He never said I couldn’t do something and he never let me put myself down. As weeks went on, I found myself succeeding in areas I never thought were possible, like jump roping for five straight minutes or boxing. I was, for once, able to have fun while working out. All of Thomas’ passion to help others shines through by his work ethic and his yearning to help those who want to be helped. I wish I could work out with him every day, but the best part of training with him was now I can work out and follow everything he taught me on my own. Because of Thomas, and everything he taught me, I finally feel good about who I am on the inside and the out. There are three things I was looking for in a trainer: character, content and consistency. Thomas Johnson has all three traits in abundance. Character is important because if the trainer’s motivation comes from the wrong place, then they are likely to steer you wrong, take short cuts or quit on you. Having known Thomas for years, I’ve seen him build himself up physically and intellectually. I understand the work he put into his training craft and I know that he genuinely cares about the people he trains. With respect to his training knowledge content, he was able to challenge me in new ways every time we train. I am no novice having been a 3 year starter for my college football team and been around gyms for years. But I look forward to working with Thomas because his core and cardio routines create muscle confusion and challenge me to the max! I'm always drenched when we finish. He is wise enough to know my limits and push me to them with new routines that are healthy, physically sound and fun. With respect to consistency, there is nothing worse than a trainer who is undependable and irresponsible. Thomas is always on time, prepared and ready to go. He is there when I need him! I am getting towards the end of my football playing days but Thomas is helping me not only avoid injuries, but dominate the way I used to when I was in my college days! 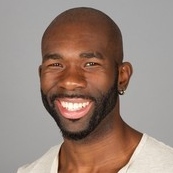 I am thrilled to give my highest recommendation to Thomas Johnson as a person trainer. I have had the pleasure of working with TJ on a number of occasions. Every opportunity he provided me with a solid exercise selection to help maximize my workouts. The constant motivation and dedication of helping me succeed was always of top concern. Through providing a healthy selection of exercises combined with an extreme sense of motivation I would highly recommend his knowledge and skill-set in helping attain your goals! Working with TJ was a great experience. Being a professional athlete, he expected a lot out of me. He never let me give up on myself and always gave me the extra motivation I needed to finish. He is a great person who has an unbelievable work ethic mixed with a fierce passion for helping others. I’m looking forward to working with him in the future and maintaining a relationship throughout my career and beyond it. Get right or get left! My workout experience with TJ was quite enlightening even thought it wasn’t long. I’ve taken his advice and have kept a food journal to keep track of what I’m eating on a daily basis along with calorie intake by using livestrong/thedailyplate.com. During my workout session with TJ he showed me techniques on how to box. Since then, I’ve taken up boxing and use the tips he’s showed me to work out and relieve some stress. I do appreciate what he’s shown me in a short time period and would recommend him to anyone that wants to change their life for the better and have fun while doing so. Thomas Johnson was one of my very first trainers and also the person who made me enjoy working out. Ever since I worked out with him, I continued practicing what I had learned. His enthusiasm for a healthy lifestyle and exercises that quickly show results, made me take the same route. He gives great advice and does not half-pass any exercises. He tailors his time and exercises according to body-type, goals and consistency. I would highly recommend Thomas as a personal trainer, as well as, nutritionist. The workouts I had with my trainer, Thomas, are very effective and he always makes sure the sets are not too repetitive which is very good to not get bored of them. Also, the exercises are more and more "difficult" but in the good way, it really allows to see the progress by every new session I had. I was also surprised enough to discover some exercises I never tried or thought I could do. A big plus is he gives me some nutrition advices, that is very important to complete a healthy lifestyle. My only regret is that I will have to go back to my country, but I sincerely advice this training method for anybody seeking to achieve their goals, which sometimes needs help from a professional!